Make no mistake about it! The winter is not easy on your lawn. From the brutally cold temperatures to the lack of sun, it’s easy for a lawn to go from green to lean when the winter months roll in. The good news is there are a few simple solutions. By properly cleaning up your lawn after the tough winter months, you can get your lawn back on track quickly. That’s where we come in. At Huston Contracting, we specialize in getting your lawn looking great again – and fast! That’s what professional Olathe landscapers are supposed to do. First and foremost, you must get rid of any and all debris. Seriously, winter can spread trash, branches, road gravel, and so much more all over your lawn. All these items look bad, but that’s not even the worst part. They can affect how your grass grows and looks. Don’t let debris fester throughout your property. Clean the stuff up before spring has sprung and flung. Or hire a team of Olathe landscapers to do it for you. Either way, this is the first step before moving on to anything else on the list. Once you have a clean and debris-free yard, it’s time to get your lawn looking even lovelier. This means adding a little fuel to the fire by laying down grass seed and fertilizer. You want everything looking good as summer rolls in and a little fertilizer will surely do just that. Some people opt for professional help here. At Huston Contracting, we offer fertilizing services in and around the Olathe area. For landscaping veterans, you could also do this yourself. Once the lawn is cleaned up and the fertilizer laid down, it’s time to add to your Olathe landscape. This means bringing new plant life into the fold. Spring is the ideal time to add elements to your landscaping. One of our favorite ideas? Spring is the perfect time for annual flower designs and installation. A few fresh flowers always make a landscape look lovely, especially when blooming. Here at Huston Contracting, we’re all about quick tips that get great results. By implementing the three ideas above, you’re sure to turn that wintertime frown upside down and have your lawn looking amazing before the heat hits us. If you need any Olathe landscaping help, we’re always here. Just reach out to the professionals at Huston Contracting and we’ll be in touch. Going green has become popular in nearly every industry. We’re all trying to be environmentally-friendly these days, and that’s a great thing. However, most industries have to make huge changes to help the environment while improving their operations. With Olathe landscaping, things are a little different. See, by changing your landscape just a little bit, you can also help the environment. There’s tons of ways to do this. Why? Because your landscape is the environment. A tweak here and a change there can mean hundreds in savings for homeowners. Plus, the environment wins, too. A true win-win situation! The easiest way to save money on your landscaping is to shade your home. When the sun beats down on your home, things heat up inside. In the summer months, this means your home continually gets hotter and hotter. A hotter home always equates to higher A/C bills. By using leafy trees to shade your home, you can drastically lower your utility bills in the warmer summer months. At Huston Contracting, we believe this is the best way to go green. Add some large trees to your property. In the winter months, the cold wind actually does more damage to the inside temperature of your house than just the cold. As such, you’ll want to insulate your home from the wind as much as possible. How do you do that? Simple, add some evergreen trees and shrubs around the sides of your home. These plants will take the brute force of the cold winds and keep your home as warm as can be. This will lower heating bills. One costly concern for landscapers around the world is water. In Olathe, there are many months that our lawns need water. As such, many Olathe residents spend hundreds of dollars a year watering their lawns. There’s nothing wrong with this, but it’s certainly not a “green” principle. Luckily, there’s a simple solution. By working with a landscape design professional, you can incorporate drainage solutions and irrigation systems into your landscape. By adding these two things to your landscape, you’ll be able to significantly lower your water bills in the hot months. We believe this is one of the more efficient ways for Olathe landscapers to truly go green. If you’re looking to increase efficiency within your home through landscaping, get in touch today. 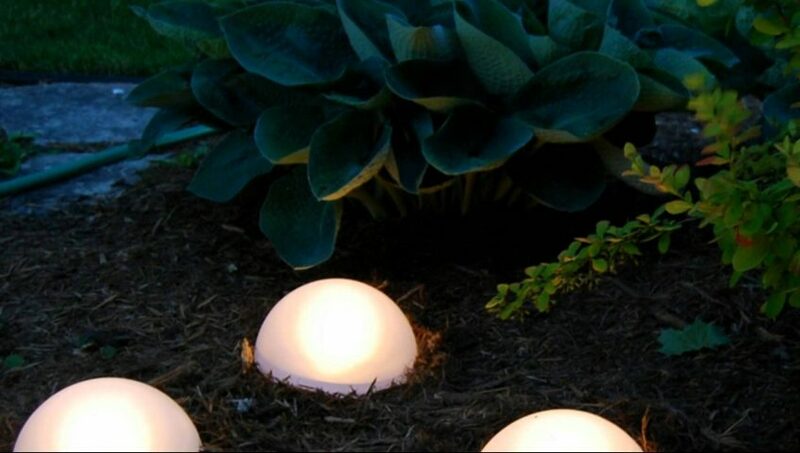 At Huston Contracting, we have dozens of ways for specific homeowners to lower energy bills through their landscape.